The railroad during the early 1800s expanded the reach of America across its continent culminating in the Golden Spike event on May 10, 1869 when the First Transcontinental Railroad linked the East Coast with the Pacific Coast. Nearly a hundred years later America would build another great infrastructure. During the 1950s (and continuing to this day) the Federal Highway system was created which in turn furthered the growing popularity of automobiles and the travel industry. Also during these decades following the end of the Second World War the commercial air-travel industry boomed with new planes being built to handle longer distances and larger passenger capacities. Airports expanded, markets opened and by 1958 the Federal Aviation Administration was founded and developed our modern air-traffic control system to manage the increased flights going into and out of the country. But unbeknownst to the majority of Americans at the time, except for a select few scientists, was the creation in 1958 of a technological infrastructure that would one day evolve into the Internet as we know it today. The Advanced Research Projects Agency (ARPA) was founded in 1958 with the goal of creating the first computer network system linking four massive computers each running on their own operating system. That nascent network was called ARPANET and without it today’s Internet would not look or function as it does and it might not even exist. Leap forward to the 1990s and the dawn of the World Wide Web when the Internet revolutionized communication and information delivery not just in the United States but across the globe. Its rise impacted not just technology, not just commerce, but nearly all aspects of cultures as well. 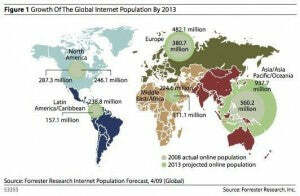 The Internet is so ubiquitous today that it is hard to imagine a world without it. Today on the Internet over 600 terabytes of data (or 60 times the printed collection of the U.S. Library of Congress) are sent across the globe in just one minute alone. In that same minute 1.3 million videos are posted on YouTube, 204 million emails are sent, Facebook will have another 6 million views and these numbers will only continue climbing. So like the infrastructures of the past (railroad, highway and air-traffic) the infrastructure of today, the Internet, must support the ever increasing workload of a world with an insatiable appetite for more data in all its forms. To that end a movement is underway to build a Broadband community whereby high-speed internet access, which is always on, is available to many users and that serves to further their respective goals. Such Broadband capacity allows for more content to be delivered and meets the growing need for streaming video, internet phone calls, gaming and interactive services for innovative organizations that are challenging the way information has been delivered in the past. For example, Broadband has revolutionized the traditional education model through virtual learning and mentoring programs. By allowing people to access educational resources from a computer in their own home, students have expanded learning opportunities that were previously unavailable in traditional brick and mortar schools. The benefits extend to both exceptional students that might find themselves unchallenged in the classroom, as well as those with a greater need for one-on-one interactions. One such organization is StudentMentor.org which aims to connect mentors and mentees across the country. Their efforts have been aided by both public and private investment in Internet infrastructure that supports broadband connections. Between 1996 and 2011 broadband companies invested over $1.2 trillion—in 2011 alone they put over $66 billion into broadband infrastructure. These investments have transformed the US from a country where 90 percent of the population used dial-up in 2000, to a nation with near ubiquitous broadband access. Wired and wireless Broadband has exploded and has facilitated the growth of technology, applications and the entrepreneurs who are capitalizing on this infrastructure that is as critical to the national and local economies as was the railroad, highways and air-traffic in their respective ages. 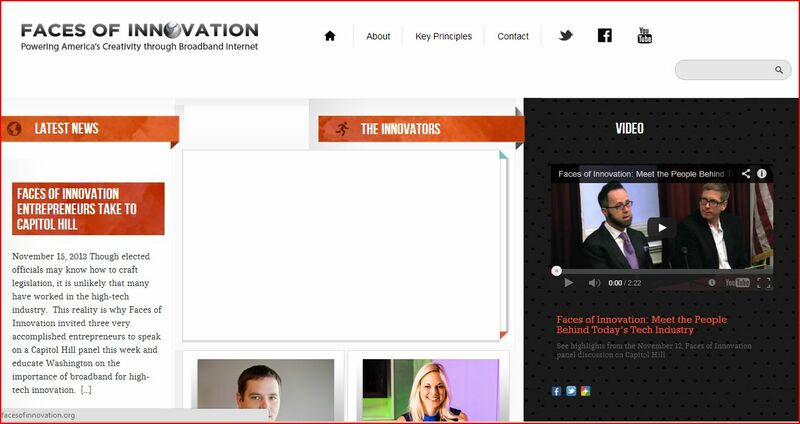 One website spotlighting the individuals leading the charge in their use of the modern Internet is FacesofInnovation.org which features a number of entrepreneurs who have found ways to utilize Broadband. Student Mentor is but one member of a diverse group of innovators on Faces of Innovation coming together to tell the stories about how their success was enabled by Broadband Internet. Other Latino innovators on the site include: Pablo Arellano Jr. – 3DLT (Cincinnati, OH) A retailer of files for 3D printed objects. Juan Rodriguez – Flash Valet (Austin, TX) An app that brings the valet experience to your phone. Manuel Rosso – Food on the Table (Austin, TX) Helps people organize, shop for and prepare healthy meals for the family. While the machinery and technology may have changed and continues to evolve one thing is certain- the use of the Internet will continue to grow and the infrastructure on which it runs must meet the demands of a public raised in a world that seems to get smaller and smaller; where once insurmountable geographic boundaries no longer seem to exist and the only limits we have are those we allow to exist in our imagination.